Maximize plowing efficiency with a plow that combines the ease of straight blade operation with the productivity of a winged plow. 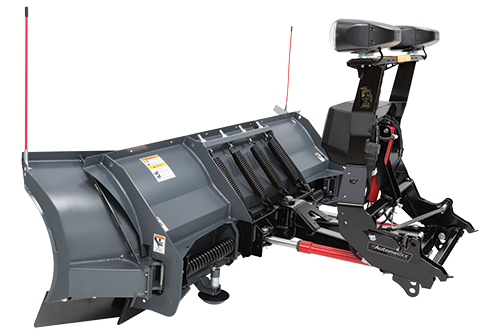 The SPEEDWING™ 8600 multi position, winged snowplow from SnowEx features mechanical wings that automatically adjust from scoop mode to windrow position as you angle the blade, reducing spill off. The SPEEDWING features the Automatixx® attachment system and a universal mounting plate to meet a wide variety of skid-steer applications. Professional contractors in Fargo can add the Scrape Maxx™ down force kit accessory for increased back dragging performance making this a great addition to your winter services fleet.